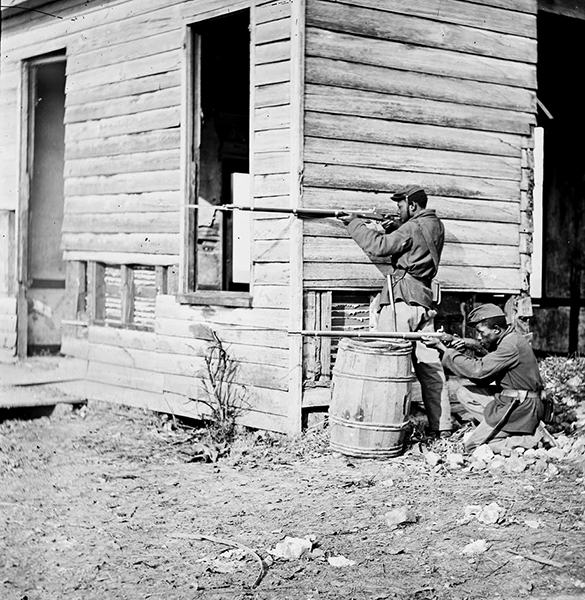 African American Union troops aiming their weapons at Dutch Gap, Virginia, in 1864. While this is almost certainly a posed photograph, it reveals both the quality of the uniforms issued to black troops and the pride that they took in them. These men made an extra effort to appear in clean uniforms for this picture.